Elizabeth Coxhead leading Oliverson's Variation,Gimmer Crag,Langdale.
" In his review of One Step in the Clouds, Harold Drasdo makes a telling comment on Elizabeth Coxhead's novel One Green Bottle (which is included in that bulging omnibus): `Coxhead has that indulgent affection for her heroine that we sometimes see in the great novelists (especially perhaps in the women)'. I hardly think you could call the ending of the novel indulgent, but the exciting, frustrating, moving thing about what Jack Longland called 'by far the best novel about climbing that I have read', is that Elizabeth Coxhead cares about her central character, Cathy Canning, the girl from the backstreets of Birk­enhead who wants to break out of the demoralisation of poverty and the sexual repression of both men and women. Elizabeth Coxhead, I have been discovering, was a person who cared, with enthusiasm and intelligence, in a remarkable range of dimen­sions and ultimately with her own life. So who was Elizabeth Coxhead? Since she died in 1979 at the age of 70 I did not expect to get much impression of her early climbing. But I found that she had written a chapter called `First Mountain' for a collection of essays edited by Max Robertson under the title 'Mountain Panorama', published in 1955. In it she describes the difficulties of getting started in the early 1930s: " The established climbing clubs froze out the ill-connected female with a glance. Inquiring at Wasdale-head. I learned that if I made my way to the foot of Pillar Rock I might there fall in with a noted Lakeland guide. It was true. He already had five clients with him, and they were roping up for the Old North. With real kindness they included me, but naturally the did not change their plan !'. 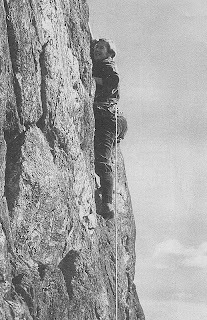 This Friday,Terry Gifford offers an insight into the world of Elizabeth Coxhead, the author of the classic 1950's climbing novel 'One Green Bottle' . A rare radical female contemporary voice in mountaineering literature. The venturing demanded by sea-cliffs feels quite different from inland climbing because you can't see the rock face before you have to start contending with gravity. You have only just parked the car, or breakfast is still a recent memory, and already you're having to find some way over the brink. The Good Book may encourage you with happy talk of reaching the foot of the cliff by 'scrambling down moderate standard rock' or even admit to 'tedious and at times mildly desperate descent'. The fact is,from above. all brinks are points and there is no telling whether the drop below is manageable or sheer? From below, a small hold is the more friendly because from the moment you start to pull up on it your weight is creating friction, maximising leverage. Lower yourself onto that same hold and there is this gulp, this moment when you have to consign your body to the drop with minimal support. It grows on you, after a while the long stretchings downwards with the toes begin to feel like slow-motion dancing, and it's certainly the quickest way of limbering up the mind – of brusquely accustom­ing it to the day's chances. Even when you have sussed the vertical maze, and you know how to reach this or that tidal ledge, how to avoid the coastguards' rubbish-tip and the hotel's sewage outlets, the sea-cliff still keeps- as you look up at it- a secret air. 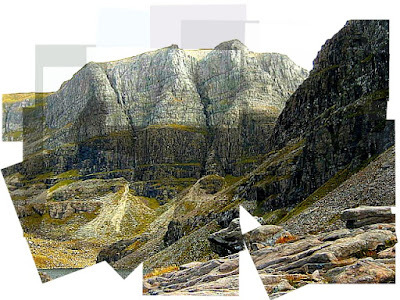 You have not been able to stare at it for an hour as you walked up the gully or across the corrie floor, identifying famous lines, eyeing up new possibilities (or impossibilities). It is the very thickness of your native land, made visible for once, defended all along one side by that mobile sea which now quakes and tilts behind you, making your ears attend to its noise in case you have miscalculated the times of the tides. When Anne and I first climbed at Bosigran, north of Land's End, we made for the huge backbone of Commando Ridge, a dinosaur with its head lolling on steep grass slopes and its tail piercing the sea seven hundred feet below. `Very popular ... great fun in all weathers': oh good. 'The first pitch requires a calm sea': eh? In Cornwall clear weather and a low tide do coincide sometimes but, as often as not, in the middle of the night. As we nipped round the last joint of the dinosaur tail, the tide was filling and a brisk westerly threw white water up at our heels. Anne likes to climb Very Difficult but the steep corner which is the only way out of the sea's reach felt more like Severe. She climbed it in the fluent surge that is sucked out of you by sensing that there is no other way (for eight or nine hours) to escape from the swim and churn of salt water and re-establish yourself in your homeland of heather, dry granite, and flowers yellow as butter. The sea is so alien, so hard to live in, so far (in our waters) below blood-heat. It swarms with life but, for animals formed to take in oxygen as a gas rather than dissolved in water, it is more like death – the 'cold obstruction' abhorred by Claudio in Measure for Measure. Once when I took a slalom canoe out into Loch Diabaig in Wester Ross, I dared to paddle between the last skerries dividing the haven from the outer sea. I saw the big slope of the ocean setting in, grey hills of water hulking up. abolishing the horizon, heaving past under me, and I felt balanced on the very fulcrum between being and not being, the above and the below. 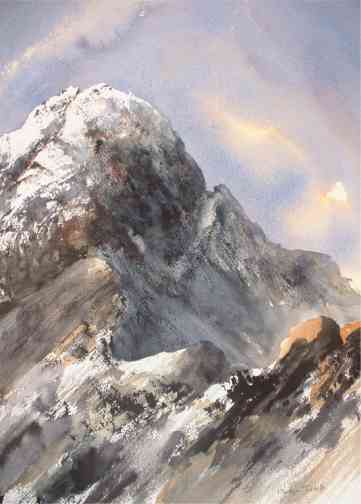 I had never heard of that last pair of phrases or concepts until I found myself using them to epitomise my perception of a painting by Bill Peascod which hung in his sitting-room at Melbicks on the north-west slope of Skiddaw. It is a yard across and two feet high, big enough to embody the expanse of the elemental world. The upper third of the painting is made of watery ink-blues, the lower third of clay greys. Between them churns a zone of sand-browns, buffs, ochres, layered on by the palette knife in slices of acrylic. When I first took it in, in 1982 I told him how much I liked this seething stretch 'between the above and the below'. He seized on the phrase and told me it was in fact a concept in Zen Buddhism. I have always seen that painted vision of his as land and water mixed: below an overcast sky the percussion of the breakers stirs up the seabed and does away with the boundary between the waters and the earth. Bill felt he had been painting hills. In either case it is an image of world creating itself– the original flux, from which may emerge any and every one of those shapes which we then come to think as eternal because they outlast us. John Wesley preached at Sennen just after sunrise to a congrega­tion 'consisting chiefly of old, grey-headed men'. We went afterwards, as far as we could go safely, towards the point of the rocks at the Land's-end. It was an awful sight! But how will these rocks melt away, when God ariseth to judgement! It's sublime, in its way, the crassness with which the true believer, powered by his vision, zooms right past the object of attention. For a moment Wesley is on the verge of reacting to what is there, a twinge of token thrill in the eighteenth-century traveller's manner, and then it's gone, and he can no longer see those blunt towers of granite glowing pale brass when the sun lights them directly, prows dividing the North Atlantic Drift, their roots in the sea, the salt spume rasping them till the crystals stand out faceted like gems: a landmark for the invaders from prehistoric Iberians to Athelstan the Saxon who finally defeated the Cornish at Boleit, the Field of Blood, a little north of Lamorna . . . All those strivings which the crag has stood for, people and elements with and against each other, are nothing in the sight of the zealot. The rocks will outlast him, will they? Very well then, his god shall outlast the rocks! But however hard he shakes his fist at the gnarled world itself, however desperately he plies the wand of belief, the rock prevails, the chapels quarried out of it are converted to garages or holiday homes, and when these revert to cairns of scree with the last crumblings of our Civilisation, and there are no humans left to enlist imagined gods in the long struggle against nature, then the plied pinnacles along the coasts of west Penwith will still be raising their silhouettes against the gleaming sea. In winter this everlasting atmosphere feels all the stronger because the swarms of people are not there, the social and the historical' shrink to a scattered presence, and the bareness of things comes through as an image of the not-yet-fully-created: leaves have only just evolved (hard, smooth, and salt-resistant for the most part) but not yet corn or flowers or fruits. The light seems new, uncertain, diffused through Gauls of moisture as though solidity was barely born. A bird-world, not vet mammal-world. On the arable plateau the plough land is monotony of primitive brown, a rich mineral mix still empty- any sprouting. When it is windless here in midwinter, the place more than ever like an unawakened void, the world on the second day, with a firmament dividing the waters, an evening an ' morning, but little else. Is there breath in nature's body? Can waters bring forth anything at all? They can, they can bring forth seals. Soon after one New Year as Anne and I followed the North Cornwall Coastal Path from - Pendeen south towards Sennen, a round head gleamed up out of the sea, like water-polished rock but mobile. It turned this and that way, looking. We hollered to it and for over an hour two miles of walking) it followed us off-shore, diving occasionally coming up again for a look. We hallooed and hallooed and it did not go away until it seemed put off by the combers bursting_ Whitesands Bay and went down into the sea at the same time as the sun. A day or two later another seal bobbed like flotsam in the sea that swelled up into a drawn at Pordenack Point where Rob and I were climbing comfortably in our shirtsleeves, finding our way up little ramps and clefts and zigzag chimneys blackened by the sea's iodine. We could have felt like 'the first that ever burst into that silent sea' had it not been for one ordinary metal nut that someone (possibly Zeke Deacon the Marine climber) jammed into a crack for protection a generation before. moisture had fused it to the rock in a blob of orange. Apart from ourselves the seal was the only other evidence that temperatures could ever rise to blood-heat or animal life take shape in that huge twilight hollow of the cosmos. Emma Alsford on B Team Direct:E1:Crickmail Point. The midwinter trance in west Penwith, if it occurs. momentous partly because any calm down there is a lull cyclonic onslaughts. The energy of the wind is manic, inextricable. The exact point where it peaks lies on the boundary between and the above, the climax of the updraught. Further down the cliff it may be possible to live and climb in the wind provided you choose a moment of slackening between gusts.lift a foot from a hold and raise it onto the next one. And on the plateau you can get used to a gale by shouting instead of speaking and leaning instead of standing. But what Yeats called "The haystack- and roof-levelling wind, Bred on the Atlantic' becomes impossible at the cliff edge where, deflected by the two hundred-foot thickness of the granite, it accelerates upwards, tearing out clumps of sea-thrift, scouring crumbs of earth into a brown blizzard, sending the surf from the base of the cliff, where it quakes in a dense white mass like milk half-churned to butter,to blow in clots across the plateau up above. We first saw this during a late October week on Lundy, eleven miles out into the Bristol Channel, north of Hartland Point near Bideford. Force seven to force nine gales dominated us for six days on end. We were staying in the Old Light, a great Victorian tower which had failed as a lighthouse because its head was buried so often in fog. All that week, as we rounded the base of the empty tower going anti-clockwise with the gale behind us, we were forced to run headlong. Suddenly, as you met the airstream pouring round the far side, you were stopped dead and had to force yourself forwards, head down. The froth was blowing clean across the saddle of the island, four hundred feet above sea level, in ghostly clumps like tumbleweed. One afternoon, as the gale rose to the 'sea-wind scream' described by Yeats and fumes of sulphur dioxide choked us as flames blew right out of the iron stove's little door, we all went mad to experience the wind, to drink it, eat it, embrace it. We ran down to the cliff top nearest the old Light, between Black Crag and Pilot's Quay. You could only make headway by leaning forward, face three feet from the ground, and staggering in a long dive. At the edge normality disappeared entirely. Neil was barely recognisable, his hair racing off his head in a solid blond stream, his face squared out sideways like a rubber mask, his eyelids puffing and trembling –the grimace of the ejecting pilot in Life magazine's famous photos. Gravity became secondary and we could lean out over he edge, wind-supported, and peer straight down at the waves ramping below, their white limbs clambering up the cliff as though a tribe of polar bears were coming at us. Neil leads as the slab steepens, up the line called Satan's Slip The book has told us that it's 'protected solely by a bolt'. The air has eroded this to nothing but Neil finds placements for six small nuts on wire, some barely sunk in the cracks but two so good that they have to be knocked out with a krab and a Cassin peg: finicky dental work in the shuddering cold, like performing an operation at sea or trying to mend a cathedral roof in winter. Emma Alsford on Explosion Exposure(HVS) Ogmore. To make headway upwards, finger ends must hook into little holes no bigger than a five-pence piece, better than nothing but useless for the feet, and all this delicate balancing and frictioning begins to feel weirdly furtive, as though we're tiptoeing so as not to let the wind know we're here. Gradually we near the granite bird totem to which the Slide tapers at its summit; from the south it looks like a cartoon sculpture of a cliff-dwelling bird, as though nature has contrived a memorial to the puffins which have now almost deserted the island that was named after them. We had heard the gale scream once before, as we lay sleeping in our frame tent on August 11 1979, at our camp in the field at Boleigh which we later learned was the very site of that last defeat of the Cornish by the Saxons in 931. Anne and I could not believe that the straight walls of the tent would stand against the demonic battering. I had laid an old telephone pole on the hem of the windward side with its metal steps sticking into the turf to prevent it rolling. Moon-shadows streamed and writhed wildly on the cloth above our heads and the whole little home-from ­home was bellying and creaking like a windjammer about to founder. But it held out all night, we were saved by the slope of the field to the west where tall standing stones lean – the Pipers, where Athelstan may or may not have placed himself to observe the armies grappling. In the morning, under a sky blown by the gale into a great dome of blue glass, we went along to Sennen and stood with hundreds of others watching the sea lay on a spectacle. Beyond the horizon dozens of yachts in the Fastnet race were foundering and dismasting. Here at our feet the waves were lifting in blossom-trees of white foam. It streamed in rills off the crown of the famous climb called Demo, which starts ten feet above mid-tide and rises for another seventy. When we did it the week after, we could understand why the layer of black schorl veneered onto the granite of the final slab is fretted into shapes like the flakes of bark on a pine trunk. On Lundy the gale began to seem as permanent as our own lungs breathing. It made communication impossible as Terry, Norman and I tried to thread our way up the climb called Cable Way, on Montague Buttress where a battleship was wrecked in 1906. For nearly twenty years they worked to salvage what they could, building a giant ladder of two-inch steel hawser with plank steps. The ruptured, rusting tendons of it still loll down the cliff. After losing my way and making an involuntary Very Severe variant that I called Bad Connection, I belayed onto a cable-end to bring the others up. The thrumming of the hawser in the gale, transmitted along the rope to my waist, was as unsettling as though the planet was shaking loose or working itself up to an earthquake. For six days the environment was all antagonism and we went out to accept it and make the most of it. Even on the lee side, as Anne and I climbed Gannet Traverse at the north end, spiralling round the buttress below mouthed and horned gargoyles bearded with lichen, the sky sent hail showers to rattle off our helmets and rasp the green sea dark mussel-blue. The church itself was threatening to come unstuck – the gawky, semi-derelict adver­tisement for defunct ideals which the wonderfully named Reverend H. G. Heaven had commanded to be built ninety years before, importing bricks and stone to an island whose main export was granite. As we walked under the east wall after a wet gale had driven us off a fine route called Ulysses Factor near the Devil's Limekiln, we saw that the clock face was shattered and fallen slates littered the grass, some driven in edge ways. What a way to go, we fantasised – your skull split by one of the Reverend Heaven's slates, as though God had reached down His hand to fell a passing atheist. But there is no divinity in the storm, it is pure energy issuing from the maelstrom of matter, you can work with it or let it envelop you, and it was in this spirit five years later that Anne and I stood at the top of Sennen cliffs again, on the crag called: in Cornish Pedn-Men-Du. A strange south-easterly gale was blowing, in January, straight up the coast. By wave refraction this bent the sea inwards against the land and, as we watched, the waters rose in a ridge with a tossing top, the white hair blown sideways off it as it came towards us. Sixty feet below was granite stage where you sort your gear before climbing Demo.A broad wedge has been bitten out of it, this is what focuses the waves and forces them skywards. Now the foam-trees were blossoming again, improbably high up into the air, and this was going to be a big one. Shep stood well back from the edge while his humans got ready to be silly yet again. The wave hit the face of the rock-stage, burst in a white explosion, swelled on into the vee, and levitated. The gale caught the head of spume and blew it at us. Behind it Long ships lighthouse disappeared. Steeply above us the air filled with grey bees, swarming, coagulating, swoop­ing onto us, hitting me with a solid impact as I turned my shoulder against it to protect my camera, drenching me instantly to the skin. With great thanks to David Craig and Al Leary. Coming up: David Craig embraces the 'sea wind scream'. George Christie on Heart of Darkness. This Friday, West Coast Story. 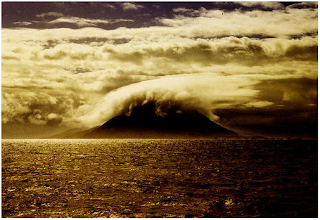 David Craig observes the elemental forces at work whilst climbing above the Atlantic ocean. When the sky finally burst open like a rotten pear, it swept the streets of Llanrwst clean of life in seconds. All that remained was the flickering headlights of motorists who crawled through waterlogged streets, faces pressed against streaming windscreens, peering out into the unexpected autumnal monsoon. Sanctuary for myself was a secondhand bookshop, an occasional port of call when I drift over the county line from my rural abode to sample the delights of this North Wales market town. As always I scanned past the old favourites which appear to bulk out the mountaineering sections of every secondhand bookshop in the land - the Boningtons, Blackshaws, Hunts and Smythes - to an unfamiliar little, blue volume wedged between Lord Hunt's doorstop and a Showell Styles guidebook. A 1920s rock climbing guide to Snowdonia, its yellowing pages boasting the occasional grainy black and white of a popular climb of the day. One caught my eye. An intrepid leader poised upon a clean, steep slabby wall. His attentive second belaying him from a spacious stance at the edge of the frame. It appeared the leader had traversed out right and was about to ascend the clean lightning cracked slab. If memory serves the caption compared the pitch to Kern Knotts Crack in the Lake District. The route was Overhanging Chimneys on Trwyn y Graig in the Nantlle Valley. 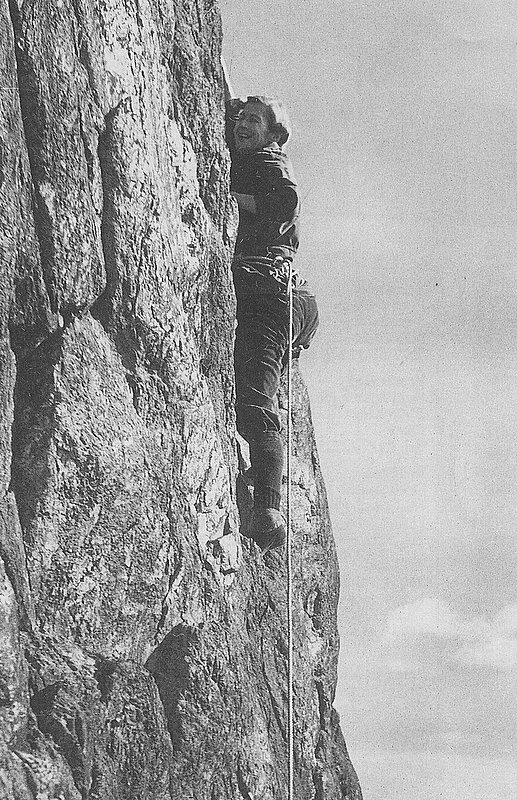 The seed was planted; I had to seek out this intriguing fragment of climbing history which geography and fashion had relegated to the backwaters of Welsh rock climbing. 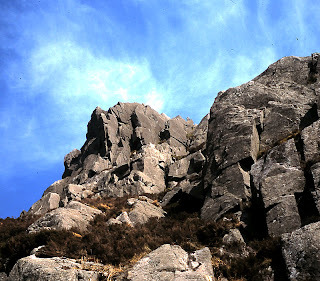 Overhanging Chimneys lies within the Cwm Silyn area, and is now included in the Tremadog guide*. The current edition lends couple of pages to Trwyn y Graig and even in today's climate of over-hyped Extremes it gives Overhanging Chimneys a star. I recalled that Ron James' influential 1970's guide for Constable, 'Rock Climbing in Wales', also includes the route although Paul Williams' up-dated version 'Rock Climbs in Snowdonia' excludes it. This 330ft Severe is described as 'an old fashioned and somewhat artificial route but well worthwhile and on excellent rock' in the current Climbers Club guidebook. The last part of this statement was clearly encapsulated in the 1920's photograph and furthermore, I had already confirmed it with own eyes. A couple of years before I had been on another obscure Cwm Silyn route, Engineers Climb on Craig Fawr, when the occasional break in the cloud revealed a clean impressive crag less than half a mile away to the east. 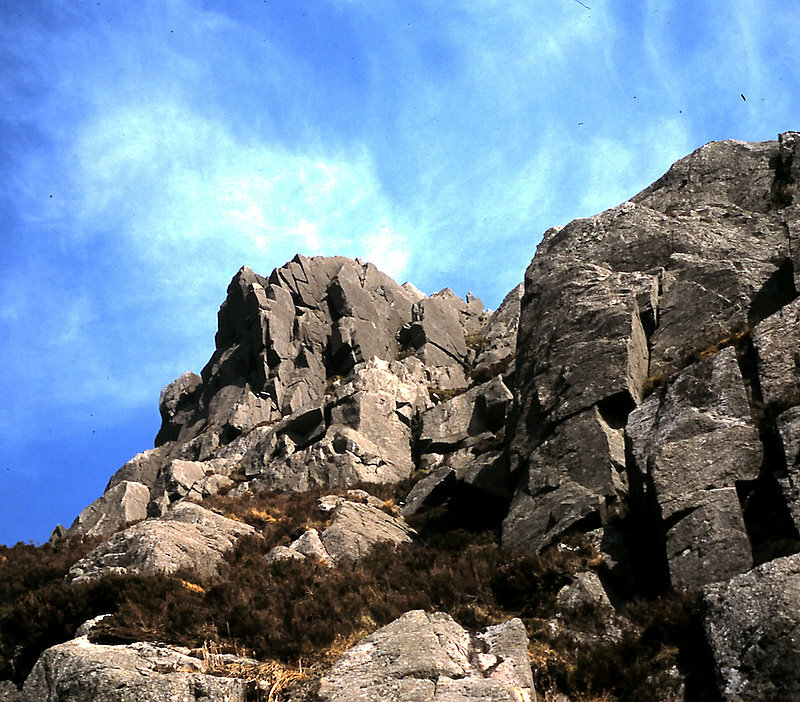 This I later discovered was Trwyn y Graig ( Crag of the Nose), but I did not realise at the time that it held within its elegant ramparts Downes, Carr and McNaught's 1925 creation -Overhanging Chimneys. It was during an early May heatwave that I persuaded erstwhile partner Dave Williams- stopping over in North Wales for a few weeks twixt Saudi Arabia and Argentina- to join me exploring in Trwyn y Graig. It was mid-week and the parking just beyond Bryn Gwyn Farm was deserted.Despite-or more likely because of its remoteness- this particular area had become a black spot for car crime in recent years. All around lay evidence of broken windscreens and side windows. It appeared that at least five cars randomly parked around the site had been vandalised in the past few days. Somewhat perturbed by the obvious risk factor, Dave approached a local farmer who was mending his fences along the lane and was kindly given permission to park his borrowed car in a field opposite Bryn Gwyn. 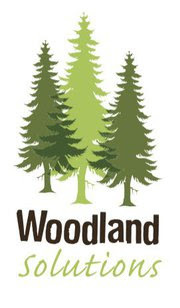 The farmer confirmed that the activities of the car thieves had led to a noticeable decline in the number of walkers and climbers coming to the area. As we rounded the twin lakes of Llynau Cwm Silyn which lie beneath the majestic heights of Craig y Ogof, each footfall gradually lifted our destination from the jumbled mass of rock and heather which from a distance can appear a confusing matrix of indistinct mountainous features. Toiling in the hot sun through the pathless heather and boulder fields, I was surprised at the scale and character of the crag. From below it looked extremely steep and intimidating. However, the rock did at least look clean and inviting. My anticipa­tion was growing by the minute. A cool breeze blowing in from the coast alleviated the worst effects of the burning sun. This was Wales in May for you: one week you are wrapped up against the sleet and rolling mist; the next, you are basting on a sun drenched crag! The first pitch of Overhanging Chimneys begins beneath a short, cracked groove. From below it looked straightforward but as is so often the case, it proved quite awkward. The top of the route mean­dered across a heathery ledge before breaching a slabby wall via a rightward trending rampline. Although technically never more than 4a, it provided consistent interest and as I watched my friend reach the heather belt which marks the end of the first pitch, my eyes feasted upon the beautiful upper tier, capped by the impressive nose from which the crag derives its name. Certain climbs have a distinct agreeable ambience, this route was certainly one of them. For traditional climbs such as this, grading appears at times to be an almost arbitrary affair. Most appear to be lumped in the V Diff category which can mean anything from a gentle, juggy stroll on a benign outcrop to a heartstopping excursion on one of Lliwedd's 700' mountaineer­ing routes. If a traditional route rates Severe or Hard Severe then you can usually expect some spice in the proceedings! The author in Maurice's Crack. Choose your own innuendo laden caption ! The second pitch of Overhanging Chimneys proves the point. The leader has to ascend a thin ramp line to reach the ferociously steep 'Maurice's Crack' which leads a grassy bay. Despite its description the crack is not over generous the way of protection or positive holds. The unremitting precipitous nature means that screaming calves demand movement regardless of the paucity of holds or protection. " Christ.. I've climbed easier HVS's this!" I yelled down at my partner. My ascent was fueled by hysterical laughter at my own uselessness and gnawing frustration. Despite their almost pantomime appearance in nailed boots, plus fours and tweed jackets, those old pioneers could certainly climb a bit! The difficulties do ease at the top of the 40ft crack but it is fair to an overall technical grade of 4c would not be unreasonable. As assessment Big Dave, was quick to concur with after he had hauled himself up to join me. From the grassy bay at the top of Maurice's Crack,the climb traverses left on small, positive holds to reach a massive ledge which at the point of departure is out of sight around the corner. For those who are vertically challenged the stride to reach the edge would be frustrating to say the least. For myself at 5ft 10" , I was just about able to plant my toes on the edge of the slab whilst hanging from thin hand holds. For 6ft 2" Williams it was more amenable if not more gracefully executed! Despite the difficulties of the last pitch we could at least luxuriate on our spacious stance for a while and take in the complexities of of the first overhanging chimney through a haze of duty free cigarette smoke. `Thrutchy — how else could you describe this most trad of pitches? The bold Williams overcame it in a symphony of sweat, curses and neanderthal grunts. For myself- I found it useful to dig into my repertoire of almost forgotten climbing techniques and came up with that cobwebbed classic 'back and footing'. After reaching an overhang which halted further progress a long, blind reach meant a monster jug could be used to spin into the chimney and then apply some simple bridging before rocking out of the constriction on to the rib which delineated the left edge. the chimney was, as expected, both awkward and interesting and delivered us to a superb stance beneath the final tower. As I reached the stance I moved out right across a broad heather ledge to take in the final pitch which at this point darted around the tower and up a narrow ramp-line. Im­mediately I was transported back 70 years for it was in this very spot that one of those early pioneers — was it Downes, Carr or McNaught? — had left the party to frame his photograph and caught for posterity the attentive second and his leader trans­fixed upon white,cracked rock. From the stance the leader has to make a delicate step around the edge of a sharp, angled wall and reach a steep ramp. The climbing is absorbing and delicate but generously protected. The ramp gives out at a square, slightly sloping ledge about the size of a paving stone. The line then moves deviously around the ramp-line headwall and a long step across the void reaches a meagre foothold on the very edge of the final overhanging chimney. Another heaving thrutch and you are in the chimney itself where easy climbing leaves you below the final steep crack which soon reaches the top of the nose. The moves are tricky and absorbing until the very end when the satiated leader pulls into the widening crack which brings you to the end of an immensely satisfying climb. So, there it was. A climb which had cast its spell within a rain lashed Llanrwst book­shop had finally been consummated upon a scorching spring day. Would memory dull the experience or would it exaggerate the encounter? On the negative side, I would have acknowledge the contrived nature of the line in that escape is possible along one of the heather breaks which seperate the pitches and also dilute the exposure. However, the same could be said for many Tryfan classics including Grooved Arete, Gashed Crag and Pinnacle Ridge? Overhanging Chimneys was a highly enjoyable and satisfying climb that never lacked charm, character or interest throughout its six pitches. A classic climb? Yes, although perhaps not a three star classic, but certainly an excellent diversion from summer's heaving, honey-pot crags of North Wales. John Appleby© First published in Climber: July 1996.
" From the grassy bay at the top of Maurice's Crack,the climb traverses left on small, positive holds.to reach a massive ledge which, at the point of departure is out of sight around the corner. For those who are vertically challenged, the stride to reach the ledge would be frustrating to say the least. For myself at 5ft-10" I was just about able to plant my toes on the edge of the slab whilst hanging from thin hand holds. For the six foot two inch Williams it was more amenable if not more gracefully executed! Despite the difficulties of the last pitch we could at least luxuriate on our spacious stance for a while and take in the complexities of of the first overhanging chimney through a haze of duty free cigarette smoke. 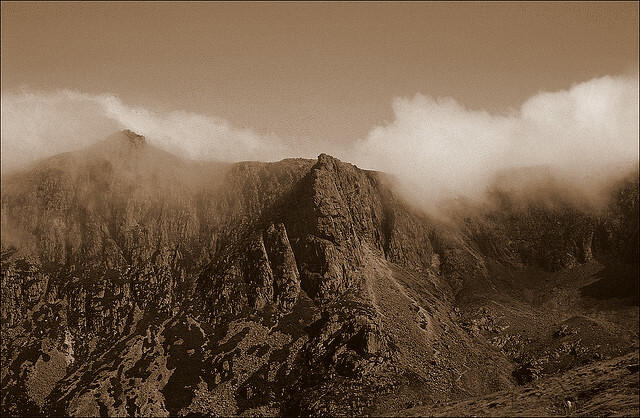 This Friday; John Appleby discovers a neglected 1920's classic mountaineering route in the Nantlle Pass. The most fascinating of English' outdoor sports is crag-climbing. Nothing compares with it in its calls on nerve and energy, in its splendid triumphs and defeats, and in its glorious fireside re­collections. And, moreover, our own country holds the best district in the world for its indulgence. As the famous climber, Mr. Mummery, said: "Climbing in the Caucasus is safe and easy ; in the Alps it is often difficult, but generally safe ; but rock-climbing, as practiced at Wastdalehead, is at once difficult and dangerous.' Coming from such high authority, and bearing on what are essential points in any pastime, the words cannot be lightly esteemed. The climbs about to be mentioned are in the famous South-west Cumberland district, on the mountains of Scafell, Great Gable, and the Pillar, and reference will be made to ascents in Great End and Scafell Pike. It may be necessary here to remark that these are descriptions of actual climbs, and not a general survey of the whole crag-climbing district. It is our intention to call attention only to that portion of crag-climbing possible to men who have neither time nor opportunity to specially study the subject. Of course, it is not in everyone to become a great cragsman—only men of exceptional physique and practice can rise to the higher branches of the art. A slight defect of nerve - or muscle is apt to come out at dangerous situa­tions under the tremendous strains common to the sport, and a person whose confidence in himself, after repeated trials, is weak should never attempt really difficult climbs. A little more preparation is desirable for a crag-climbing holiday than for an ordinary tour. As regards boots, these should be the heavily-nailed variety usually offered for mountaineering. It is a good plan to purchase them some months before going climbing, and, after wearing them a few times to ' break them in,' to put them aside till required for earnest work. The more indestructible your touring suit the better; for very often clothes come in for exceptionally rough usage—say, when rounding nasty corners where your whole weight is scrubbing them against the uneven cliff. As regards the rope, this is an indispensable adjunct to crag-climbing, and the worst of all to manage. There are plenty of good ropes passed by the different Alpine and crag-climbing societies, to be had, and on one of these you must pin your faith. They have been tested, both wet and dry, by men who know exactly what is required, and who will not pass any inferior goods. As regards yourself, your success and the ease with which it is obtained will depend to a large extent on condition. The usual training for hard walking holds good ; but the use of the dumb - bells is required to add strength and endurance to the arm-muscles, on which so much often depends. This exercise also benefits the hips and spine, on which some heavy work may devolve. But if a man is deficient in nerve it is impossible for him to become a cragsman. The intending climber should obtain quarters at Wastdalehead, Seathwaite, or elsewhere in Borrowdale, or in the Langdales. The accommodation is often limited, as more than crag‑ climbers rush into the district at the holiday season, and it is assumed that our friend is unable to get from business at any other time. The followingis typical and true : On arrival at our quarters, after an all-night climb, we were informed that on the previous evening two young men had called inquiring for accomodation, and had expressed their willingness to share the same room- if it were absolutely neces­sary. On being informed that every bed in the house had three occupants, and each table about four, they strolled on to try elsewhere. To reach the crags a long, hard walk is inevitable, and carrying the rope is found to be exhausting work.Arrived at the scene of operations—and be sure you are there before you make any preparation (on the Pillar, for instance, there is a short face of steep rock up which many an enthusiast has rushed, thinking to reach the summit quickly, but once on the top of 'Pisgah' he sees the 'Promised Land,' far across the impassable Jordan Gap)—carefully compare the rock-face in view with the tracing you have taken of the illustration in your Climbers' Guide. Pick out the route you have previously decided on, then carry out the climb if you can. It will be found a good plan to copy on a card the instructions the expert has given ; they are then easily referred to, and the effort of writing fixes them more clearly in your memory. In climbing, attention should be closely given to the white scratches on your path—the impressions of the hobs of your predecessors,for these indicate the most popular and easy route. Climb slowly, and if in company be sure the men behind you are able to follow. At the head of every pitch a halt should be made, if there is sufficient room for all to come together, and the feasibility of the next step decided upon. Never forget the precariousness of your position. You are clinging, maybe, half-way up a cliff, a hundred yards of rock above, the same below. A slip here means a fatality, and there is no chance of recovery. In such a position there is little fear of anyone being careless but after the worst of the exer­tion is over many men do not exercise sufficient vigilance, and the most terrible of climbing disasters are traceable to a lack of care in such positions. We will first describe some of the easier climbs on the Scafell group, taking afterwards the more difficult and exciting pieces of work on Scafell, Great Gable, and the Pillar. 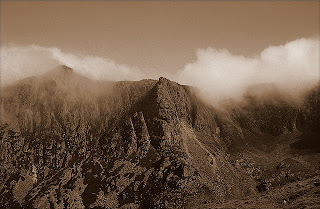 Wastdalehead, the crag-climbing metropolis, at the very foot of the Scafell range, provides the nearest resting-place. Seathwaite and Langdale are about three hours' walk from the summit of Scafell Pike. The mountain group is the highest in England, and is covered with crags of all degrees of difficulty. The most popular ascents are Broad Stand and the Mickledore Chimney, on the Scafell side of the Mickledore Chasm, from which their ascent is commenced ; Piers Ghyll, a majestic gully in the north-west shoulder of Scafell Pike and Cust's Gully, a scree shoot on Great End. 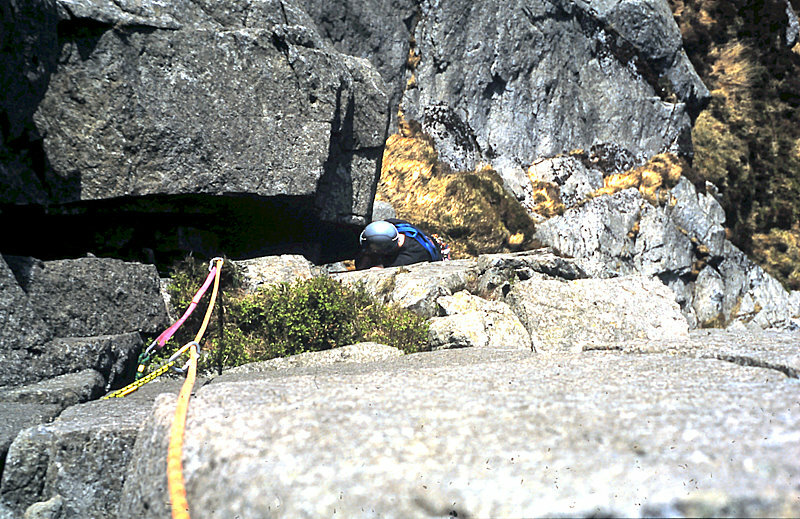 One of the safest climbs on which a tyro may try himself is the Broad Stand, which opens a few yards over the crest of the Mickledore Ridge, on the Eskdale side. The route is at first a narrow slit behind a square rock, through which it is necessary to pass sideways to reach a patch of grass. Above this is a slippery eight-foot wall of rock, and this has to be negotiated—not a pleasant task when a considerable volume of water is trickling down—after which a broad band of grass leads to the summit of Scafell. In misty weather this climb is more difficult. In descending the last bit, I let the others down with a rope, and then followed myself. One of the party, seeing me cautiously rounding the last and most awkward corner, promptly seized me by the coat and hauled me to a place of safety. At this, one of the others remarked that had I slipped both of us would have gone to the bottom. " No, no," said my rescuer, 'not both. If he had slipped I should have let him go"
For first practice with the rope, Broad Stand is splendid and more than one good climber here received his first lesson in the craft. A rope is often very difficult to manage. At the first nasty corner you find that either your companion or yourself has got to the wrong side of the rope, or, where walking across steep slopes and scree, you are perpetually tripping over it however, with practice, these difficulties dis­appear. A more difficult alternative to' the Broad Stand route from Mickledore Chasm to Scafell top is by the Mickledore Chimney. This is not difficult to find, opening with a deep gully about two minutes' walk from the entrance to Broad Stand, and clearly in sight from Scafell Pike. Of this climb Mr. Walker says : Our party had a meal by the spring near the top of Mickle­dore Ridge, and then a start for the climb was made. We soon reached the foot of the Chimney, where the rope was put on. No difficulty was experienced until we got half-way up, when the rock becomes nearly vertical. The walls of the ghyll are very smooth and covered with wet moss, so that the only way to ascend is by crawling up like a chimney-sweep. Owing to the quantity of water about, our leader had much difficulty ill gaining a narrow, sloping ledge, from which he could render us some assistance. In a crack of the rock here we found a bilberry-bush with some very fine fruit, of which half was left for the next comers. From the ledge on which we were standing a bit of overhanging rock has to be surmounted in order to gain another ledge. This cornice slopes outward towards the deep gully we had ascended, and has to be traversed in an attitude similar to that natural to one of our remote ancestors. This, though uncomfortable, was soon accomplished, and we debouched on to the ridge above Broad Stand. Piers Ghyll, a deep cleft in the north shoulder of Scafell Pike, is a very famous gorge, and many an enjoyable afternoon climb will be found in it. From the vale-head beneath, as from the summit of the Pike, it looks a mere wrinkle in the massive gable of the mountain ; but once entered, majestic cliffs are found rising to a great height over the splinter-strewn torrent-bed. For many years no one was able to climb the full length of this defile, owing to the stream which, in a fine cascade, occupies its whole width at the point where the ghyll opens on to the fell. During the remarkably dry summer of 1894., Dr. Collier climbed right through the water ; but a dozen years before an equally determined attempt took place. Two gentlemen essayed, if possible, to overcome all obstacles, and climb right through the ghyll to the top of Lingmell Crags. In order to get through the waterfall, the unmentionables of the climbers were taken off and packed safely away. After many hours' hard work among the traverses and pitches, the climbers had to retire with but partial success. When their temporary wardrobe, under the lee of a big boulder, was reached, one pair of nether garments was missing. 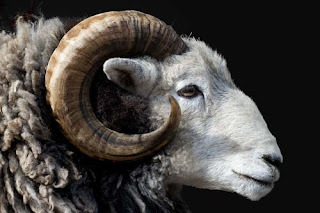 When and how this came about could not be imagined ; for ravens and fell sheep are not considered partial to such dainties, and other living things had not been present. Do what the pair might, the clothes could not be found therefore an unfrequented road to Rosthwaite had to be taken, but even here the curious gray jersey costume evoked much merriment. On another occasion, but many years earlier, an attempt was made single-handed. The climber reached the level of the force, when he dislodged a piece of rock behind him in passing. For a moment its significance did not come to him, but when it did he was amazed. The knocked-down piece of rock blocked his only retreat, and since the climb out was impossible he was in a sorry plight. For twenty-four hours he stood on that tiny ledge, not daring to move either backward or forward ; but hunger at last forced him to make a tremendous dive into the pool beneath the force, and so he escaped in safety. The ascents now to be dealt with are of a higher class, both in difficulty and danger, than those already described. The training recommended previously is now absolutely necessary, as well as a practical acquaintance with the use of the rope, while the practice obtained among the rocks of Mickledore will be valuable. Any narrative concerning English rock-climbing would be very incomplete without a mention of the Pillar Rock, a famous excrescence on the Ennerdale side of Pillar Mountain. On all sides it presents cliffs hundreds of feet in height, and so difficult of ascent that on the east face alone is there a route climbable by anyone but experts. This is by the Slab and Notch,' first discovered in 1863. The more difficult west face was ascended in 1826 and the north route, which presents an almost impossible climb, fell before Mr. Haskett Smith in 1891. There are also many portions as yet unsealed. The climb by the Slab and Notch route about to be described was made from Langdale on an April day, when snow still lay in considerable beds on the higher ground. To reach the Pillar Mountain from the valley named is quite a notable excursion. After passing- over Esk hause we had to climb Great Gable, and this by a very faint and narrow track, tra­versing the mountain front from left to right. After a very rough scramble we reached the summit at 5-45 (having left Langdale at 2 a.m.). The sun had just risen, the air was bitterly cold, and a gale was blowing across the white expanse towards Honister. It was impossible to stay in this exposed position, so we crossed to Westmorland's cairn for a peep down the screes of Great Hell Gate, and then hurried down to Beckland. As often happens in descents, we missed the correct path, and came down an awkward slope to the col connecting Great Gable and Kirkfell, under the lee, rather than over the windy top, of which we continued our walk to Black Sail Pass. The ground was very rough, but we reached the Pillar Mountain at 8.30 a.m., and hurried down to within two hundred feet of the face on which our attack was to be directed. Lunch was welcome but hurried, as we were anxious to get to the climbing. Skirting the deceptive Pisgah face, we found ourselves on a ledge half-way (apparently) up the rock. Here we put on the rope (25 feet in length), and made for the Slab—a large smooth rock 40 feet in length and sloping at an angle of some thirty-seven degrees. The danger of slipping off would have been considerable had not a deep crack near the lower end afforded safe hold for our feet. Had either of us made a slip here, however, we would have slid straight over the edge into the scree doup some hundreds of feet below.The Notch was distinctly in view above ; the crag up to it was steep, but the handhold so secure that it made quite an easy task. The Notch itself presents some difficulty, for the ledge on which you cross is not broad, the crag above bulges out uncomfortably, and the drop into the gulf beside you is considerable. The passage was soon over, and we were looking down into the Great Chimney, from which a short walk up a grass slope led us to the foot of the Small Chimney, the ascent of which is not difficult, and the cairn on the summit was reached. Here we had a long rest, and amused ourselves by reading the names on the cards which are stowed in a tin box under a large stone. In a few minutes we had reached our starting-point, and commenced our return to Langdale. The path now leads past the cairn and iron cross (now almost buried in the scree which slides in plenty from the crags above), erected to the memory of the Rev. James Jackson, the Patriarch of the Pillar, so well loved of our older cragsmen. 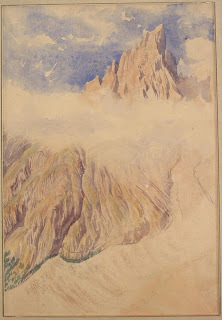 The old man's playful character may be gauged from the fact that when starting for his third ascent of the Pillar Rock in May, 1878, when he was eighty-two years of age, he took with him a bottle containing the following memorandum, which he evidently intended to deposit on the top. His design, however, was not accomplished, for on the way he slipped over a crag on the west face, and fell three hundred yards to the place where Auld Will Ritson's search-party found his body. There is no fitter place among his beloved mountains for a memento of the man who in the last years of a long life, fell so completely in love with crag-climbing, than the quiet scree-strewn cove almost within the shadow of the majestic Rock. Deep Ghyll is the name of a huge recess in the breast of Scafell, with its mouth in the scree‑channel of Lord's Rake and stupendous rock walls on both banks. The first pitch or section of the climb is closed by a huge boulder, which, having become fixed in a narrow part of the gully, makes a sort of small cavern. This piece seems difficulty first, but if the climber enters the darkened space and emerges by way of a smaller stone which has caught between the main cliff and the blocked rock, he will find a scanty hold above, whereby, after a few seconds' struggle, the first pitch of the ascent is accomplished. Mr. A. S. Walker, on whose diary part of this chapter is based, thus describes his ascent : ' The first pitch of this ghyll appears very difficult at first sight ; indeed, for a time I had not the slightest idea how to ascend it. However I negotiated it at length, and then hauled up my companion. As soon as he was safe, I descended the pitch and set up the camera on a small terrace, commanding a splendid view of,the ghyll and its surroundings.' This ledge has a melancholy interest to all crag-climbers, for it was by a slip from it that Professor Milnes Marshall met his death in December, 1893. The Professor and his companions had just unroped after a successful descent of the crags, and were making towards Wastdalehead, when he slipped and fell some three hundred feet. The camera, after two plates had been exposed, was packed in the rucksac and hauled up by my friend. This time I found the ascent quite easy, and wondered at the difficulty I had experienced half an hour before.' In the second pitch the eye is struck by a huge overhanging slab in the very centre of the ghyll, which seems effectually to bar all further progress. The obvious way of climbing the ghyll is by avoiding the deeper portion,and wriggling up a small chimney to the left. This Hastwell proceeded to do while I fixed the camera on a very insecure grass ledge in a position whence I could photograph him on the way up. When I thought everything was ready,I found that my plates were on the other side of the camera (about a yard away), and do what I would I could not reach them until I had taken the camera down again. This will give an idea of the narrowness of the ledge, and of the difficulties attaching to a studio of this variety. However, I got a view, and climbed to the top of the pitch. Hastwell was glad of the rope I lowered, for he had been kept in the chimney, wedged in one position, for nearly an hour, and I had almost to haul him up. Another hour was spent in getting the camera up, and when the top of the ghyll was finally reached we were quite ready for a rest. Another grand climb on Scafell is the Pillar, which divides the Deep Ghyll (just mentioned) from Steep Ghyll, a much more formidable climb. The Pillar is overlooked by a rock dubbed Pisgah, from which an easy descent is made to the Jordan Gap, which separates the pinnacle from the main cliff ; this circumstance it possesses in common with the Ennerdale Pillar. The connecting link is a sharp rock-ledge, about a yard in width, and with magnificent vertical views down both sides. As the climbers reach the ledge the rope is usually put on, for there is a nasty corner where the body has to be hauled by hand power alone to the top of an overhanging slab. This task is rendered a trifle safer by a convenient crack, into which the fingers of the left hand can be inserted. The crack slopes to the left for about five feet, when the hold has to be transferred to a crevice about two feet lower. After sliding along another short space (all the while without any assistance from the feet)) the edge of the main cliff is reached. Here, by merely letting go, you can get into the Wastdale Valley (about two thousand feet beneath) in something under four seconds. The rope may be secured to a conveniently placed rock on " the mainland ' so as to lessen the danger, but there is no possible relief for the arms. The whole climb is done by hands alone, and is therefore very fatiguing. It will be readily observed from this that a serious course of dumb-bells to develop the arm and shoulder muscles is as much a sine qua non to the climber as a clear head and abundant energy . 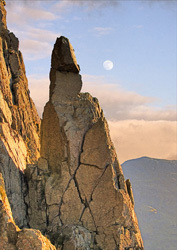 The most sensational and most popular climb in the whole district is the Napes Needle. A striking view of this enormous fiddle-shaped aiguille, precariously disposed on the west face of Great Napes—a pile of precipices clearly visible from Wastdalehead. The Needle was first climbed in 1886, but, of course, when once a route was discovered, it became soon tolerably easy for anyone with sufficient strength to follow. The route to the base of the crag from Wastdalehead presents an interesting but exhaust­ing scramble to the man -who has to carry some quantity of impedimenta, and usually occupies one and a half hours. A walk along a fairly broad ledge -here be very careful that the correct terrace is selected, as there are so many identical in appearance -brings the climber to the base of the 'Needle. While the remainder of the party discussed the best methods of attack, I fixed the camera on a small grass ledge known as " the dress circle," on account of its convenient situation for viewing the coming performance. After this I took my place on the rope, and led the ascent. The route is at first easy. Where it rounds the corner the rock bulges out considerably, and this portion is so difficult that few short men are able to manage it, being unable to reach as high as the handhold. The advice of one who has been ' through the mill ' is valuable, and the presence of a vigilant friend next to you on the rope is very reassuring. However this corner is the most dangerous in the ascent, although, of course, a fall from the crag at any point would be fatal. Once out of the crack a ledge is reached on which there is room for three or four persons standing, and from these the leader should get abundant help to overcome the final difficulty. This consists in hauling one's self, by hands alone, on to a ledge hardly as wide as an ordinary mantelpiece, then straightening up and shuffling —there is not room to walk—along this traverse with no handhold at all. The step from the end of this ledge to the front face of the top boulder (the crag is in three pieces) requires great care, but the projection on which you depend is large enough to hold both toes during the brief space occupied in reaching for the top. Of course, the final pull is by the arms alone, and, considering previous exertions,is hard work until, with a mighty heave, you sprawl across the summit breathless. Once the leader has established himself he can make the climb much easier and quite safe for the rest of the party. He can also assist their descent,and when his own turn comes, by throwing the rope over the boulder to the opposite side of the rock, where the others are standing, can lower himself in safety.The view from the summit merits a few words of description, though we cannot do more than mention the bolder beauties of the scene. Across the narrow valley are the tremendous buttresses and scree-beds of the Scafell range down to the left is the dull gleam of Wastwater, with the greener shoulder of the screes, behind you, pile upon pile, rises the huge composite cliff known as Great Napes; while right and left are inaccessible-looking faces of bare rock. 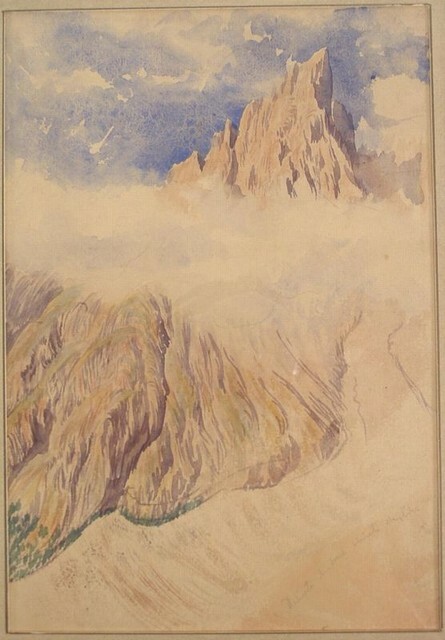 Glancing straight beneath, the climber is astounded : he is clinging to a mere pin-point-like summit over a tremendous gulf, at the bottom of which, seeming blue and distant, is Wastdale. A stumble when he straight­ened himself on that narrow ledge by which he came up would have precipitated him into that abyss; a merely careless step would do it now. It speaks strongly for the caution and dexterity, as well as for the pluck and nerve of our cragsmen that there are not more accidents among the crags of the Cumberland mountains. From the descriptions given, we hope to have shown it possible to have a good time in climbing among the different crags without being in any way an expert. All the ascents named are reach. able from Wastdalehead, Borrowdale, or Lang­dale, and can be climbed within a day's tour. Many pleasurable excursions will be found in the immediate vicinity of those described, but we must add a warning that ere you ascend a crag. for which your climbers' guide does not contain directions, be sure that you can find the way down. Little of the enjoyment of crag-climbing is lost,and a number of valuable mementos gained, by linking with it the art of photography. The camera may be troublesome to haul about, but it is also a splendid preventive of the insane desire to rush through without noticing the rough beauties of the ghylls and crags. First published in Lake Country Rambles: Chatto and Windus 1902. Coming Up: Ripping yarns from our friends in the North. —not a pleasant task when a considerable volume of water is trickling down—after which a broad band of grass leads to the summit of Scafell. In misty weather this climb is more difficult. In descending the last bit, I let the others down with a rope, and then followed myself. One of the party, seeing me cautiously rounding the last and most awkward corner, promptly seized me by the coat and hauled me to a place of safety. At this, one of the others remarked that had I slipped both of us would have gone to the bottom. " No, no," said my rescuer, 'not both. If he had slipped I should have let him go"
This Friday -the surreal world of the the fin de siecle mountaineer. A gentleman drawn straight from the script of Michael Palin's Ripping Yarns series. A time when crag climbing was introduced to readers alongside chapters on Otter and Fox hunting, tarn fishing by moonlight and the wily ways of the badger. Written by William T Palmer who went on to become an early president of the UK's Fell and Rock Club.. 'Crag Climbing' offers an entertaining and often unintentionally humorous insight into the world of the English gentleman adventurer. Mount Analogue and Free Will. In occupied Paris in April 1944 Rene Daumal was working on what would come to be seen as his masterpiece. A visitor knocked at the door and he broke off mid-sentence in his fifth chapter. Terminally ill, he was unable to resume and died on the 21st of May. It was just a fortnight before the Normandy land­ings and he was 36 years old. He'd rarely enjoyed long spells of good health. In his early twenties he suffered anaemia and headaches and after conscription he was soon discharged for sIight heart condition. It wasn't until 1937 that his brother Jack, said to have been all experienced climber, took him to the mountains. This proved to be more than a breath of fresh air. It's hard to judge what standard of technical difficulty their excursions involved but some of his notes describe glacier travel and route se­lection through steep cliffs on what are clearly high though unnamed peaks. There's a strong sense from his letters that he felt inspired and invigorated by this new world. Unhappily, within two years an X-ray showed tuberculosis in both lungs and climbing was forbidden though mountain air itself was recom­mended. At that point France was overrun. Now Daumal had the added anxiety that Vera Milanova, his wife, was half-Jewish. It was necessary that they move around and lie low. They holed up at Passy in the Arve valley, at Gavarnie in the Pyrenees, in the Mt. Pelvoux area in the Ecrins. They lived in serious deprivation and were sometimes separated when he had occasion to risk the journey back to Paris. Despite all these difficulties his short life was massively productive. He was brought up in north-eastern France close to the Belgian border and the foothills of the Ardennes. At 16 he was one of a small clique of young students experi­menting dangerously with drugs and drink and sublimely confident of its future as the next avant-guarde. By his early twenties he was in Paris editing a new review, Le Grande Jeu, and arguing with Surrealists and the Dada movement. His interests were widening. He was teaching himself Sanskrit and writing out a grammar for the language as he progressed. He went on to publish essays off a broad range of Western and Eastern thinkers and writers and to contribute to the Nouvelle Revue Francaise. his novel A Night of Serious Drinking. This was entirely about the world we live in and it was the effort against which his final book, Mount Analogue, would stand in opposition. The story so far. It seems right to tell this in enough detail to entice a reader, but not so much as to spoil surprises. Daumal's mouthpiece is a literary journalist whose name we learn later to be Theodore. 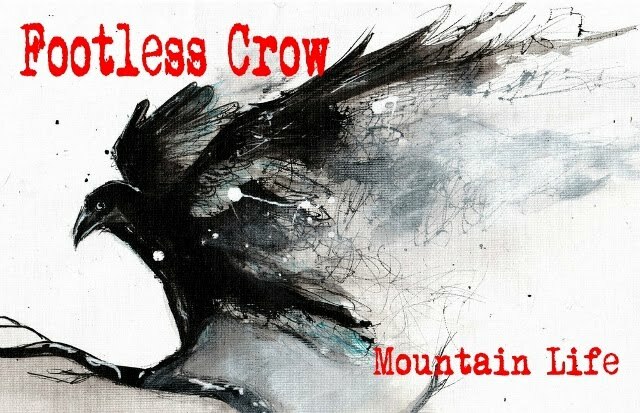 In a playful spirit he's published an essay on the symbolic significance of mountains in world religions, their function as a ladder to another world. By some rather breath-taking leaps of logic he's concluded that somewhere on earth there has to exist a hidden mountain, higher than Everest, offering access to that world. He names it Mount Analogue since it must be the physical manifestation of those metaphysical dreams. Some three months after publication, forwarded by the review, he's startled to receive a letter from one Pierre Sogol (clearly, Stone Word). 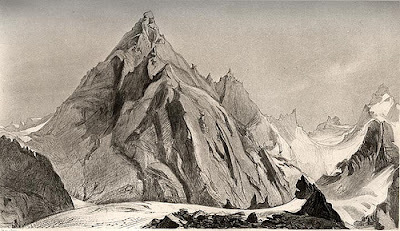 This reader has taken him seri­ously, having always believed in the possibility of an ultimate mountain, and asks the narrator to call on him to discuss likely companions for an expedition. Theo is initially dismayed at having what was offered as fantasy misread as a firm be­lief but then realises that in his own heart he feels that Mount Analogue must ex­ist somewhere in the real world. Its base must be accessible to men. His wife, Renee, happens to share this conviction. Sogol invites Theo to his apartment and immediately assumes charge of the en­terprise. He says that he can see how to determine the position of the mountain and can understand why it's never been discovered. All they need to do is to se­lect a team. They'll call them together and he'll explain how he's worked out the location. They agree upon a group twelve in number. A few days later the party is assembled, introductions are made and Sogol explains his infallible problem-solving method. This is to assume the problem solved and to deduce from the solution the necessary preconditions. (Daumal always handles scientific method tongue-in-cheek.) He's already certain that the mountain is in the South Pacific, concealed by a space-warp. The candidates are then dismissed to be recalled a week later when he'll let them have more detail. They re-convene and, as expected, some letters of withdrawal have been re­ceived. Sogol had anticipated this and had therefore not divulged too much. The expedition is now eight in number. Sogol, the narrator and his wife form a select core, though the "I" of the story gradually becomes "we" as time passes. The five others are treated with amused affection. There is an English mountaineer, sailor and doctor called Arthur Beaver, an expert on high-altitude flora and fauna. He immediately puts his yacht, 'The Impossible', complete with crew, at the service of the party. There is a Russian of Finnish origin, Ivan Lapse, who is an authority on world languages and can speak three or four himself. He has also written a book on communication by gesture. 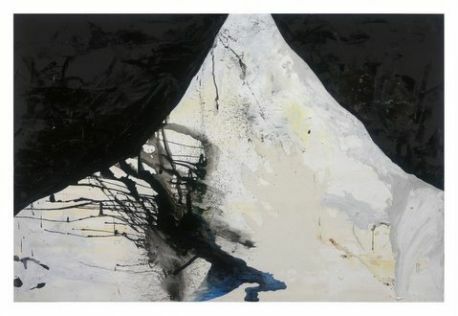 There is an American painter of moun­tains, Judith Pancake. She doesn't consider herself an artist and her aim is simply to have souvenirs of her travels. There are two Austrian brothers, Karl and Hans, whose surname is never offered. They are 'specialists in acrobatic ascents', brilliantly fit, with grips of steel and eagle eyes. One does mathematical physics, the other is into Eastern metaphysics. Sogol now explains how he's worked out Mount Analogue's position, why it's invisible to men, and exactly how the space-warp must be penetrated. And eventually the expedition sets out, having told friends they intend to explore islands in the South Pacific. Arriving at the calculated point of en­try they wait patiently for days, weeks. Finally in a dramatic passage, a sud­den chaotic turbulence of wind and water, they're drawn through to find themselves at rest in a calm sunny bay with the small fishing village of Port o' Monkeys at its head and glaciers and cloudy summits visible high above. This representative explains what's expected of the team. They'll have time to settle in and must then start the ascent. They're given a sack of tokens as an advance against necessary provisions and alter­native methods of repayment are explained. Rather than gold, the currency is based on a particular type of crystal found on the mountain, a 'peradam'. This is a spherical crystal with a refractive index so close to that of air that it's hard to spot. If they can't discover a sufficient quantity of these they must find work in the village. Someone asks what happens if a team can't find either the crystals or gainful employment. The guide asks what happens to hens that don't lay eggs. Optimistically, they all make pouches to hold their peradams. They're already aware that they're not the first to reach the mountain. In the port itself a strange assortment of vessels lies rotting, 'Phoenician barques, triremes, galleys, caravels, schooners', though there are fewer from modern times. They're informed of the elaborate protocol for all attempts and they have no choice but to comply. A head porter will accompany them on the lower stages and a guide will take them a little further. For the first stages they'll find crude shelters, later they'll have to set up camps. There'll be parties above them and they'll find that those ahead have left provisions for them. Similarly, they must leave supplies for those who follow. They must sys­tematically ferry an enormous quantity of baggage up to the higher stages to support a lengthy attempt. They've already discovered that much of what they have must be abandoned. Through physical laws they can't understand, cam­eras, compasses, torches, aneroid, none of their sophisticated scientific instru­ments will work on this mountain. Delayed by prolonged rainfall they explore the coast in both directions. On one on these excursions, still on the beach, Sogol announces that he is relinquishing his role as leader. The announcement made, he notices a small peradam at his feet. The porter and donkey-driver accompanying them are awe-struck. To dis­cover one at this low level is unprecedented and must be a good omen. At this point, however, we'll abandon the account. When Daumal died his project was already quite widely known, the first chap­ter having appeared as early as 1940 in the review Mesures. The war, however, had yet to pass through Europe and then France had to rise from the wreckage. It wasn't until 1952 that Gallimard published the unfinished text. It appeared in Britain in 1959 in Roger Shattuck's translation and in America in 1960. Various publishers reissued it and there was an attempted piracy. In 1981, working from Daumal's notes and letters, Gallimard issued a definitive edition and new trans­lations and commentaries continue to appear. The response of critics and readers involved baffled searches for comparisons and these searches had to reach outside French literature. Was it like Don Qui­xote or Gulliver's Travels or Pilgrim's Progress? Did it owe something to Vol­taire or Poe or Jules Verne or Blake? Really, it wasn't like anything else. Unless, that is, it owed something to Alfred Jarry's 'pataphysics', the science of imaginary solutions, which would lead one day to the Theatre of the Absurd. Daumal had once written a regular column under the by-line 'Pataphysics This Month'. Presumably all readers speculate a little on how Daumal might have wound up his story or how they themselves might conclude it. He'd broken off in the mid­dle of an expansive parable on ecology at a time when very few readers knew the word. But he did leave notes on what was to follow and these are severely restrictive. It would run to only seven chapters. Chapter Six would contain an account of the four dropouts from the original team who have decided to follow for base motives of their own. The final chapter would have the title "And you, what do you seek?". He also left notes which allow much more latitude and are sometimes contradictory. For some readers the unfinished work is perfect as it stands. Others are down­cast that the team hasn't yet got to grips with the real difficulties of the as­cent. For myself, as commentator, I want some sort of resolution and I choose to take the story further. Of the infinite number of possible outcomes I'll offer my preferred ending. But I can't try to mimic Daumal's lucidity of style or his teasing humour. And I won't introduce any of his sometimes tedious parables. Adopting a more distant viewpoint I'll continue the account from well above his high point. At last the moment comes when they have by-passed the ice-fall. A half-hour later they can see that they are on the floor of a gigantic cirque with similar passes at intervals all around the rim. Bafflingly, all the numerous summits appear to be of about equal height. Which is Mount Analogue? Where is Mount Analogue? They resolve immediately to traverse onto a nearby shoul­der and establish a new Base. They set up this camp and then spend a tedious fortnight in ferrying up provisions. Finally the day comes when they have to discuss a strategy and it soon becomes clear that the party is not of one mind. In the event four projects are initiated. Sogol wishes to continue alone and won't reveal whatever plan he has. (They wake one morning to find his tent empty. They follow his footprints onto the lateral moraine but can trace him no further.) Pancake, Lapse and Beaver team up to attempt a reconnaissance of the cirque and to try to find a viewpoint from which a culminating summit might be agreed upon. She'll paint each summit, Lapse will try to communi­cate with any groups they come across, Beaver will inventorise rock types and any plants and wildlife existing at this altitude. Hans and Karl settle for the most difficult line on the most monolithic summit nearby: the hardest is always the right way to go. Renee and Theo elect to try the easiest nearby peak: when in doubt take the soft option. It doesn't feel like a soft option. When they finally top out every other sum­mit appears perceptibly higher. Dispirited they recuperate at Base, which is unoccupied, then set off for another apparently feasible peak. This costs them enormous efforts and on summiting they're depressed to see that their previ­ous high point now seems to loom above them. Not halfway down the hazard­ous descent, still two days above the camp, they pause for a rest, bone-weary. They're tucked up against the rock wall of the couloir, safe from stone fall. Theo looks at his wife. She's still a pretty young woman but her face is scorched, her lips are chapped. Her hair is tangled and unwashed. He remem­bers her as she was, in elegant silk dresses and high heels. He thinks that there should be a name for this predicament, an activity in which successes and fail­ures, balance out. If I were writing my column, he reflects, I'd call it a zero-sum game. He puzzles over the fact that a flight of imagination in his wretched col­umn somehow took real wings and landed them in this trap. Images of cafe so­ciety on the Left Bank come to him and a tide of grief rises sourly in his throat. Renee looks at her husband. He's still a handsome man but his clothes are in rags, his beard is bushy and matted. She can see crumbs, food, trapped in it. A vision comes to her of Theo, a great entertainer, holding their friends spell­bound with his discourse as he reflects on the arts and sciences. She looks at the savage scene around them. It's months since they've made love. She thinks: this is cloud-cuckoo-land, this is pie-in-the-sky. She bursts into tears. Suddenly, passionately, they begin to speak their minds. The whole enterprise has been madness. They can't put the clock back but they have to escape. They have to escape! It becomes clear that they've both been thinking about it and each has ideas. The lassitude of the last few days disperses and they feel the germ of energy stir in their bodies. At this moment Theo sees that Renee's attention has shifted slightly and she's frowning, staring at the rock face over his shoulder. He turns to see a fissure in the rock wall. There's something odd about the seam recessed inside it. Their heads seem to work sluggishly, through the altitude or just through exhaustion. A lode is exposed. Puzzled, Renee runs a finger down it and immediately a wa­terfall. of peradams cascades down and banks up against the boulder at their feet. They can't speak. They're the richest people in Port o' Monkeys though they're both thinking further than that. Invigorated, they fill their depleted sacks with all they can carry. Two days later they're relieved to find that Base is unoccupied. They repack and set off hastily, leaving a note to wish their friends well and to say that they're calling it quits and returning to the village. With unremitting caution they retrace their route of ascent. Meeting ascending parties, they tell their story. Like many before them they've been daunted but they've found enough peradams to set up in business in the village. They're able to offload their kit onto the descending donkey and mule trains, keeping the sacks of coinage on their backs. Back in the port they report to the Chief Guide who has no reason to doubt their account. The mountain weeds its clients out. He instructs them to exchange the peradams for tokens without delay. In their quarters they hastily conceal some before trading in the remainder at the exchange. Now they have a large quantity of tokens and they have documents that seem to be the equivalent of bankers' drafts. They can draw on them at any time. They can put the plan into action. The plan isn't yet integrated but they work on it. They need a sea-going boat small enough for two to handle. They need a pretext for buying a boat. There­fore they must become fisher folk. Then they have to reverse and replicate the circumstances of their arrival. They ignore the big question of whether at­tempts to leave the island could be authorised or would be permitted since they think they know the answer and they don't want to hear what happens to failed defectors. They visit the headland to the right and follow the cliff top for a mile to check observations Theo had made during the week of their arrival. After some searching he finds a large, almost uprooted shrub and detaches it. With diffi­culty they trundle it over the edge and from a rock they watch. It floats to­wards the bay entry faster than they can walk but they see it move away to cruise around the opposing headland. Confirmed: there is a continuous counter-clockwise drift presumably encircling the whole island. They must re-check that it never reverses. And they have no idea how big the island is, supporting a mountain higher than Everest. They will need an unusual boat. The canoes of the natives are sturdy craft and they buy two of these. A boat-builder is commissioned to unite them as a half-decked catamaran with steering gear, a large cabin and a junk-rigged sail, a vessel never seen in these parts. This excites much more interest than they want but they're content to be seen as naive and eccentric, as well as wealthy. They can't paddle in and out as the natives do but they can amuse everyone by drifting with the subsidiary water circulation within the bay, making use of occasional light breezes when possible and hauling, a few fish out. Theo has a card up his sleeve. He's pinning his hopes on the fact that at dusk, without fail, a strange catabatic wind like a mistral or tramontane blows through the village and out through the bay for a solid hour. Renee has been busy. She visits the Impossible from time to time bringing back oilskins, warm clothing, lifejackets, bigger fishing nets, ropes, sea charts, a solar still and a selection of the equipment which will not function here including compasses and a sextant. She makes pemmican and bottles a large supply of a juice made from a native fruit tasting rather like a lime. Re­moving the key from the concealed panel Arthur Beaver had shown them, she opens the yacht safe and takes out their rightful quarter of the expedition funds – American dollars, British pounds sterling, and French francs. Han­dling these last, she makes a silent prayer that the day will come when they will spend them. They have allowed the natives to become accustomed to their habit of working late and occasionally sleeping aboard ship. The night comes when they're ready. They wait until the breeze reaches full strength and, showing no lanterns, they cast off. Sail spread, they break though the slightly con­fused water into the coastal drift. No more lights come on in the village but an anxious night follows. They know, as they pass rocky spur after spur, that any pursuit by land could not keep pace on the rough donkey tracks connect­ing succeeding inlets and settlements. They start to keep watches, have spells in conference, but by dawn they've begun to relax. Their problem is simple. The compass can't tell them when they've reached the point where they must attempt the exit strategy. They assume that the day will come when, at sun­rise, their craft can be lined up on the sun and there is no land to be seen in the forward quadrants to either side. Nevertheless, they're filled with anxiety each time they sail past an inlet with a village visible at its head. Eventually they reach a point at which the escape clause is available. Provi­dentially it's some distance past the last port, though they don't know how close it may be to the next. They're beneath high cliffs in a small bay in a promontory and they decide to have a trial run. Each day they lift anchor just before sunrise, lining the boat up awkwardly. Three days pass. Afterwards, they try to reconstruct the stream of events and the proper se­quence of their actions or responses. It had been like their arrival except that rather than being drawn into a horizontal abyss they'd been hurled out, ex­pelled. Found wanting? First, Renee had looked back at the cliff behind them and had seen only a distant sea horizon stretching in all directions. Theo had stared in tense anxiety at the water before them and had realised that, miracu­lously, it was rolling in placid widely separated swells without even a break­ing crest in sight. Renee had glanced at the net bag of peradams she'd hung from the mast and had seen that it was empty. (Had the peradams themselves unlocked the space-warp?) Theo had shaken a pocket compass repeatedly and had seen that it settled at a consistent angle to the sun. Now they are on their own and the task before them is challenging. The course of the Impossible is plotted on the chart to the very point of entry to the island and the sextant will confirm their latitude. Unhappily, they can only make a wild guess at the breadth of Mount Analogue. Theo blesses Ar­thur Beaver and the lectures on navigation with which he'd entertained the team on the voyage out. Their plan is to follow full advantage of the prevailing westerlies whilst avoiding the traps of the South East Trades on the one hand and the Roaring Forties on the other. After all, Theo keeps telling Renee, Polynesia was itself colonised as much by the accidents of sea voyages as by design. 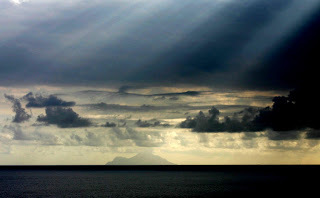 Men have crossed the South Pacific for millennia, he says, in outrigger canoes or, after shipwreck, on makeshift rafts. They drop the sail and it fills. Now we can watch them as they recede to be­come a distant mote on the ocean. They're feeling slightly queasy and will be sea-sick for a few hours. They'll spend days shadowed by sharks and they'll be almost overturned by a careless whale. They'll be driven off course by contrary winds and will have to beat painfully back. Occasionally they'll lie on the deck at midnight looking at the Southern Cross and the magnificence of the night sky. Renee will announce that she's pregnant. They'll see fantas­tic displays of the aurora australis. They'll invent childish games: Mount Analogue, Mount Monologue, Mount Dialogue, Mount Epilogue, Mount Decalogue. They'll work on a cover story about the length of time they've been away. They'll try not to think about the friends they've deserted. I can set your mind at rest. Finishing under a jury-rigged sail they'll make safe landfall in Chile, not far south of Valparaiso. They'll sell their curious boat for a knock-down price and dispose of their redundant equipment as best they can. Cleaned up, they'll move into a good hotel and enjoy the cafe life of the city until fully rested. They'll cross the Andes in comfort en route for Buenos Aires. (In passing, they'll see Aconcagua and they'll resolve, one day, in the Western Alps, to climb some modest mountains, mountains with acces­sible tops on them and equipped with comfortable refuges.) Finally they'll take passages back to France and to Europe over which,ominously,the shadow of war is beginning to fall. 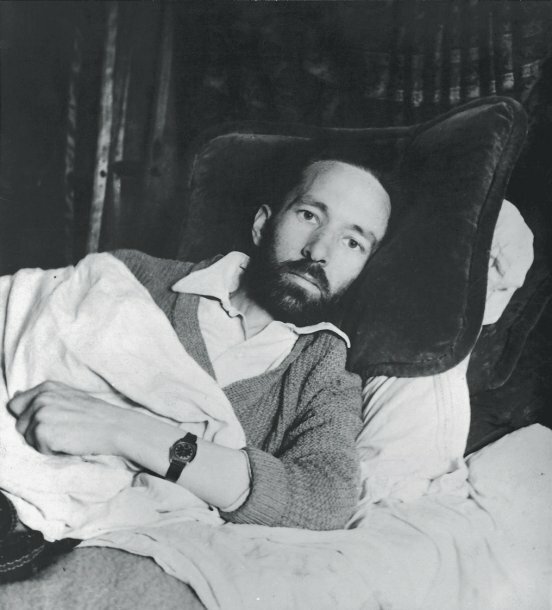 Rene Daumal three days before his death.